It’s been a hell of a year. There has been turmoil, hope, and a deeper conversation about what really matters more than ever before. December is the time of year when thoughts naturally turn toward what we want to create going forward. 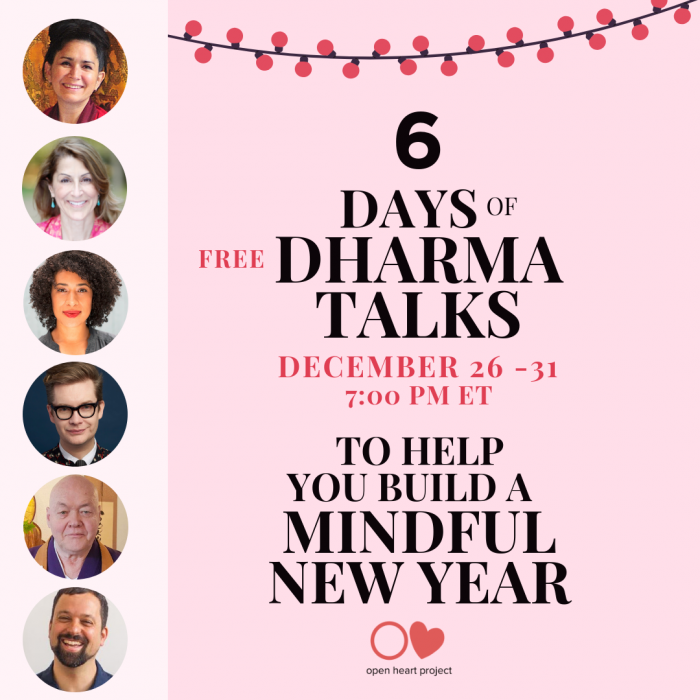 The Open Heart Project has invited a collection of accomplished Buddhist teachers to teach us about these powerful actions, one each between December 26 – 31. You are invited to drop into one or all sessions. Each one will be recorded and accessible for two weeks. Together, these wonderful teachers will help you enter 2019 with confidence. On December 25th, we will email a link to you that will work for all of the sessions.